Thousands upon thousands of people will descend upon Grant Park this weekend for Lollapalooza, and if you aren't one of them there's a good chance you'll want to avoid that. If you are going to the fest, I suggest reading through our Lollapalooza guide. If not, I suggest scoping out the bevy of other performances happening this weekend. Tonight Lambchop performs all of Nixon at Old Town School of Folk Music, and Henny B and Angel Davenport play Tonic Room as part of the venue's annual Fuckapalooza minifest. Tomorrow night Lyle Lovett & His Large Band hit Ravinia Festival and Disclosure headlines Aragon Ballroom. On Saturday you can see Matthew Sweet at SPACE or Salt-N-Pepa at Joe's. On Sunday Dylan Ettinger closes out this year's Neon Marshmallow fest at the Burlington. Head to Soundboard for all the Reader's concert listings and be sure to listen to our new "Best shows to see" playlist at the end of this post (follow us on Spotify too). Read on for some more show recommendations from our critics. "Charles Gayle does not mean to comfort you," writes Bill Meyer. 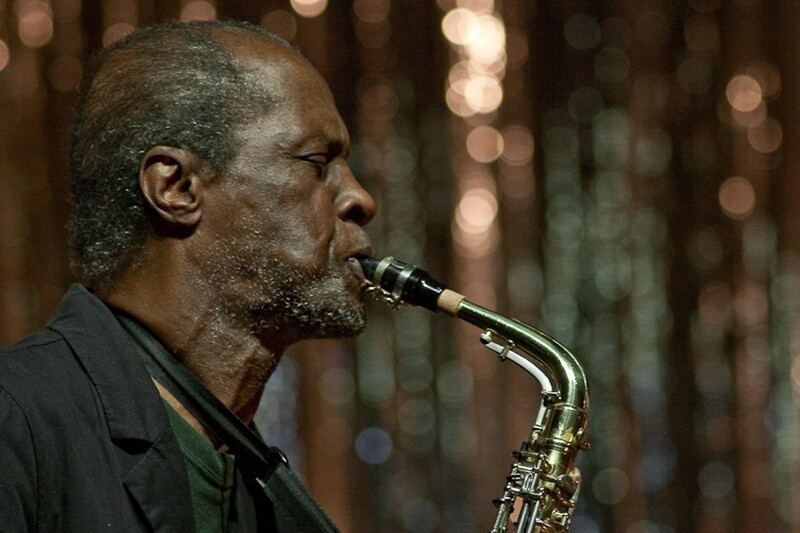 "He began his recording career 25 years ago with a series of tenor-saxophone albums whose unstinting ferocity he’d forged during decades spent playing on the streets of New York City. But as listeners came to expect him to keep flying the fire-music flag, he's repeatedly turned the tables on them. He's dialed back the heat and upped the abstraction (often on other horns), he's turned jazz standards such as 'Softly, as in a Morning Sunrise' into ruminative stride-piano fantasias, and he’s set aside music entirely to speak to his audiences about abortion, killing, and homelessness." "With her flamboyance, range, and penchant for upper-register melisma, Jeannie Holliday sometimes sounds like a neosoul singer possessed by the ghost of Minnie Riperton," writes David Whiteis. "But in other ways she's solidly in the soul-blues tradition: she avoids grandstanding, preferring to use artifice to convey depth and sincerity rather than ironic detachment. She makes her connection to the blues even more evident with her take-no-prisoners storytelling—in several of the songs on her 2010 album You Can’t Blame Me (Blast), her characters unflinchingly settle personal scores. Bare n' It All (Soother), a sampler she released a couple years ago, showcases her eclecticism and her spirituality: Its five tracks include tunes by R. Kelly ('Did You Get My Love Letter'), Chicago-born hit maker Miki Howard ('Luv Under New Management'), and Detroit R&B star K'Jon ('On the Ocean,' which she delivers as an inspirational tour de force)." "Based in New York and Berlin, Dana Schechter is best known as a key member of Bee and Flower, a band working the same vein of sensuous, morbid gloom as gothy songstresses Cat Power and Julee Cruise," writes Noah Berlatsky. "In the one-woman project Insect Ark, she retains the gloominess and the morbidity but dumps the indie-rock trappings, substituting the numb thud of something that sounds an awful lot like metal. The 2013 Insect Ark EP Long Arms (Geweih Ritual) is three tracks of evil drone and hiss, sometimes scouring your ears with the tortured demonic howl and scritching whine of black metal, sometimes nodding along to the stoned, psychedelic thrum of doom, sometimes sweeping atmospherically like a monstrous changeling Sigur Ros." Insect Ark also plays the Neon Marshmallow festival on Thu 7/31. "Though Barbara Eugenia sings mostly in Portuguese, there's not a lot in her elegant, well-constructed pop-rock that connects it to her homeland of Brazil—at least not to bossa nova, MPB, and other familiar styles that Americans tend to equate with 'Brazilian music,'" writes Peter Margasak. "But she does draw from the organ-stoked rock of the 1960s Jovem Guarda—which approximated rock sounds from the U.S., UK, and France—and from the overripe romanticism of the 70s pop-ballad style called brega. That’s not to say she’s caught in the past: she consistently transcends the sounds she experiments with, whether country music on 'I Wonder' or ye-ye on 'Jusqu'a la Mort.' Eugenia’s second album, E Que Temos (Oi Musica), was one of last year’s great pop pleasures for me. Its opening track, the seductive, lilting midtempo love song 'Coração,' weaves twangy, vibrato-heavy electric guitar through soulful organ while Eugenia wonders languidly about the nature of love, luxuriating in her uncertainty." Eugenia also plays at Sabor a Cafe on Fri 8/1 and with Ed Motta at Mayne Stage on Tue 8/5.